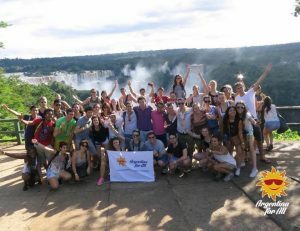 There are many ways to enjoy your time in Buenos Aires, meet people and practice languages! Don’t be shy, don’t hesitate anymore! Enjoy! Uniting Locals and Internationals in cities across the planet. ML is the perfect (free) event to meet people and practice/speak languages you want to. You put flags stickers from every country/region so that you can identify where people come from and the languages they speak. The subjects and the languages spoken are freely chosen. The event takes place three times a week in 3 different bars in the center of Buenos Aires. The event always starts from 9pm. 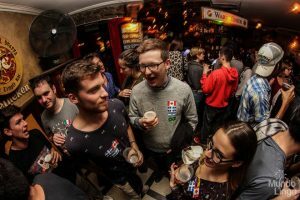 Spanglish is a language exchange that brings together English Speakers and Spanish Speakers, and just enough drinks to make it less intimidating to practice a foreign language. The event is $250 with bonus*. Get paired with Spanish native speakers in a series of 10 minutes conversations during a 2 hours session. You converse for 5 minutes in English, 5 in Spanish; and then move on to the next group (always half Spanish speakers, half English!) Not need to register anywhere! Just show up and look for the staff ! No need to register for either of the events (Spanglish and Mundo Lingo)! Just show up at the bar and present yourself to the staff! 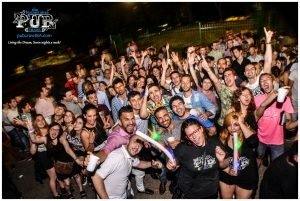 If you want to experience a crazy night out in Buenos Aires, don’t look any further! The pub crawl, or bar tour, is a great way to meet people and fellow travelers from all over the world while experiencing some of the hottest venues that the city’s nightlife has to offer! Check the details of the event of the day, put your name on the list of the Facebook event page to get a discount. Go to the meeting bar. The event is $350 ($300 if you’re on the list) and includes: free drink (and pizza depending on the day) from 22 to 23h; Pub Crawl to 3-4 bars with a free shooter at each; discounted drinks, free entrance to a night club (every night)! Be aware that there’s a dress code and you need your ID (over 18years old only). There are events 5 nights a week from Tuesday to Saturday and sometimes on Monday too. It starts at 10pm in the Hermes Bar (Av. Juan B Justo 1463) or Burkina Bar (Honduras 5296). But sometimes they do special events in different bar. Always check the event of the day. AfA organize event (day or night) for Argentinian students (usually university students) and international students. It’s a really good occasion to meet new people and locals! And of course, practice languages! The events are in different places in Buenos Aires and different days of the week (it depends on the season etc. ).